Candace from Neck Candy drops a new necklace in the store for us! This time she strings together some Kasumi pearls and they’re absolutely beautiful! Candace wanted to create a casual, go-to pearl necklace and we think she’s done just that! 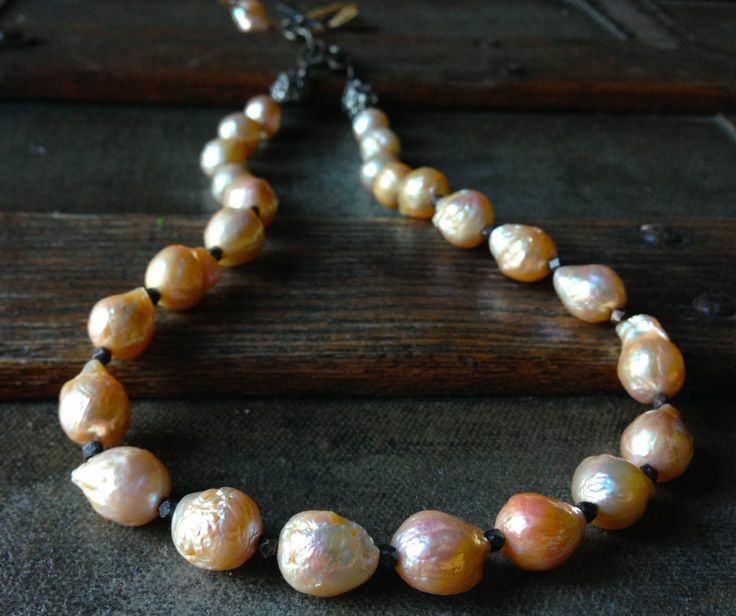 She used oxidized sterling to make the pearls pop and demand the attention they deserve. Pair this beauty with a Tibetan piece on a heavy sterling chain or just let the pearls shine in all of their glory, it’s a piece you’ll love to wear and won’t want to take it off! Come in today, try it on and take it home! Happy Friday!